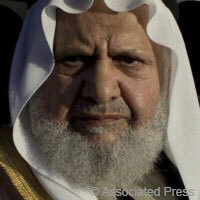 Hammam Saeed is the secretary general of the Jordanian Muslim Brotherhood. He has held the position since May 2008.“Jordan Muslim Brotherhood elects new, hawkish leader,” IkhwanWeb, May 1, 2008, http://www.ikhwanweb.com/article.php?id=16920. Saeed is part of the Brotherhood’s conservative bloc, which has close ties to Hamas.Taylor Luck, “Quiet divisions emerge as Brotherhood elects leaders,” Jordan Times, February 27, 2012, http://jordantimes.com/quiet-divisions-emerge-as-brotherhood-elects-leaders. Saeed is the first Jordanian of Palestinian origin to lead the Jordanian Brotherhood.Khalil Al-Anani, “The New Conservatives in the Arab World,” IkhwanWeb, May 28, 2008, http://www.ikhwanweb.com/article.php?id=17238. Saeed has denounced Jordan’s participation in the U.S.-led coalition against ISIS.Zhang Qizhi, “Jordan’s King Vows ‘Harsh Response’ to IS,” CRIEnglish.com, February 5, 2015, http://english.cri.cn/12394/2015/02/05/3745s865032.htm. He believes Jordan should not participate in any effort led by the United States.Zhang Qizhi, “Jordan’s King Vows ‘Harsh Response’ to IS,” CRIEnglish.com, February 5, 2015, http://english.cri.cn/12394/2015/02/05/3745s865032.htm. Following the January 7, 2015, attacks on Charlie Hebdo in Paris, Saeed denounced France, saying “We want the French government to enact a law to prevent such assaults [against the prophet Mohammed], and if it does not do so, that means it is complicit in such assaults.”Muath Freij, “Over 1,000 people march in solidarity with Prophet Mohammed,” Jordan Times, January 17, 2015, http://jordantimes.com/over-1000-people-march-in-solidarity-with-prophet-mohammad. Saeed has a close relationship with Hamas leader Khaled Meshaal“Hammam Said,” Berkley Center for Religion, Peace & World Affairs, accessed May 29, 2015, http://berkleycenter.georgetown.edu/people/hammam-said. and has frequently called for the annulment of Jordan’s peace treaty with Israel.Omar Akour, “Thousands protest Israel in Jordan over killing,” Associated Press, March 14, 2014, http://bigstory.ap.org/article/thousands-protest-israel-jordan-over-killing; Agence France-Presse, “Clashes erupt anew in Jerusalem, EU urges peace process,” Daily Star (Beirut), November 8, 2014, http://www.dailystar.com.lb/News/Middle-East/2014/Nov-08/276924-clashes-erupt-anew-in-jerusalem-eu-urges-peace-process.ashx. Saeed supports Hamas’s violent activities, and he has criticized Palestinian Authority President Mahmoud Abbas for curtailing Palestinian “armed struggle.”Bassem Eid, “Abbas under fire,” Jerusalem Post, December 10, 2014, http://www.jpost.com/Opinion/Abbas-under-fire-384268. Israel has accused Saeed’s Brotherhood of providing material support to Hamas.”“‘Jordanian Muslim Brotherhood smuggling weapons to Palestinians,’” Times of Israel, December 8, 2014, http://www.timesofisrael.com/jordanian-mb-smuggling-weapons-to-palestinians/. In early 2015, a reformist initiative within the Brotherhood—the Zamzam—created a new Muslim Brotherhood group in Jordan with the government’s approval.Taylor Luck, “Opportunistic move against Muslim Brotherhood exposes Jordan to risks,” Christian Science Monitor, March 19, 2015, http://www.csmonitor.com/World/Middle-East/2015/0319/Opportunistic-move-against-Muslim-Brotherhood-exposes-Jordan-to-risks. Zamzam has called for a greater focus on Jordanian issues over Palestinian ties.Taylor Luck, “Opportunistic move against Muslim Brotherhood exposes Jordan to risks,” Christian Science Monitor, March 19, 2015, http://www.csmonitor.com/World/Middle-East/2015/0319/Opportunistic-move-against-Muslim-Brotherhood-exposes-Jordan-to-risks. The reformist group has also called for adherence to Jordanian civil law, in contrast with the traditional group’s devotion to sharia above civil law.Taylor Luck, “‘Zamzam trial threatens wider Muslim Brotherhood split,’” Jordan Times, December 3, 2013, http://jordantimes.com/zamzam-trial-threatens-wider-muslim-brotherhood-split. Zamzam ousted Saeed and installed Abdul Majid Thuneibat as the group’s leader.Khetam Malkawi, “New leaders of Brotherhood demand control over assets,” Jordan Times, March 7, 2015, http://jordantimes.com/new-leaders-of-brotherhood-demand-control-over-assets. Saeed continues to lead the traditionalist Brotherhood branch. In March 2015, London’s Muslim Brotherhood recognized Saeed as the only leader of Jordan’s Muslim Brotherhood.“Muslim Brotherhood's Ibrahim Munir: We Recognize Only Hammam in Jordan,” IkhwanWeb, March 11, 2015, http://www.ikhwanweb.com/article.php?id=32041. Saeed has called the reformist Brotherhood group a government conspiracy against the traditional Islamist organization.Khetam Malkawi, “Brotherhood’s shura council lashes out at newly formed group,” Jordan Times, March 22, 2015, http://jordantimes.com/brotherhoods-shura-council-lashes-out-at-newly-formed-group. Hammam Said“Hammam Said,” Berkley Center for Religion, Peace & World Affairs, accessed May 29, 2015, http://berkleycenter.georgetown.edu/people/hammam-said. Hammam SaedSuleiman Al-Khalidi, “Jordanian stage pro-Gaza rally near Israeli embassy,” Al-Monitor, July 20, 2014, http://www.reuters.com/article/2014/07/20/us-palestinian-israel-jordan-idUSKBN0FP0UY20140720. Hammam Saeed is the secretary general of the Jordanian Muslim Brotherhood. “Our fight is over Al-Aqsa, it is not in Iraq or in Syria.”Agence France-Presse, “Jordan’s Muslim Brotherhood chief urges end to Israel peace treaty,” Times of Israel, November 7, 2014, http://www.timesofisrael.com/jordans-muslim-brotherhood-chief-urges-end-to-israel-peace-treaty/. In reference to the treaty between Israel and Jordan: “We demand on behalf of the people the scrapping of the shameful treaty.”Agence France-Presse, “Clashes erupt anew in Jerusalem, EU urges peace process,” Daily Star (Beirut), November 8, 2014, http://www.dailystar.com.lb/News/Middle-East/2014/Nov-08/276924-clashes-erupt-anew-in-jerusalem-eu-urges-peace-process.ashx.